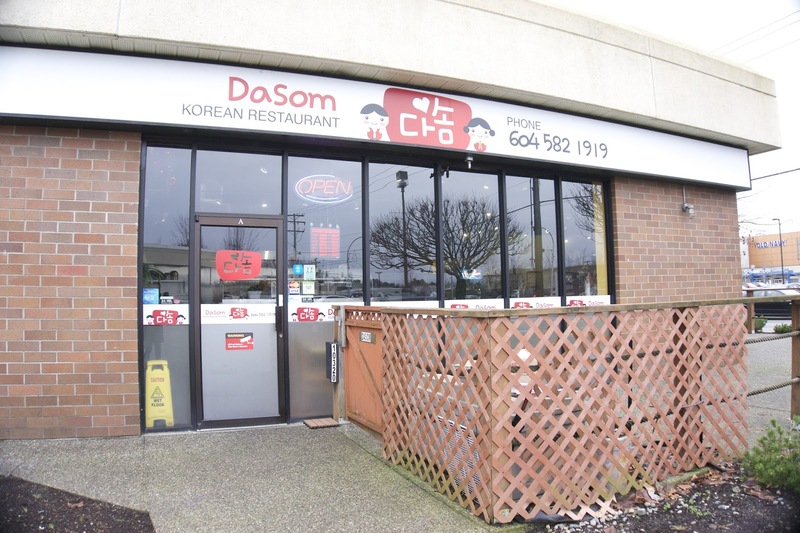 And as you can imagine, shopping made us super famished lol so we decided to check out Dasom, which is located in the same plaza as Hon Ma No and Guildford Sushi! 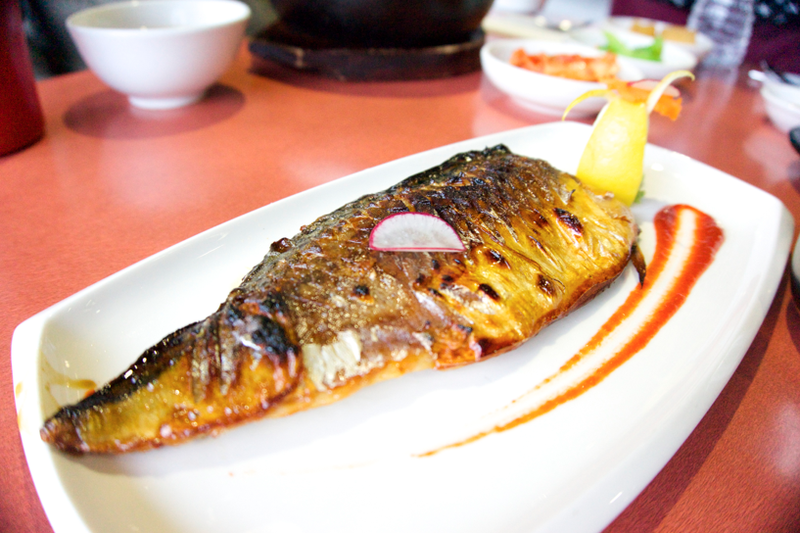 Surprisingly there are a lot of Korean restaurants out in Guildford! They're all within relatively close proximity to each other, near Guildford Town Centre! This place seems to be popular with the neighbourhood elderly Korean folks because we saw quite a few come in during our meal! The servers here were so nice! Being the klutz that I am, I ending up dropping my chopsticks on the floor twice...LOL!! But the lady was super nice about it and got me new ones, even when I insisted that it wasn't necessary! 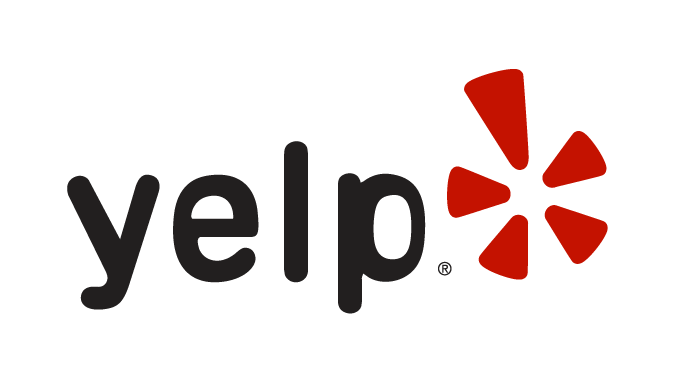 They have a great lunch menu, with 2 item combos for $13-$15! 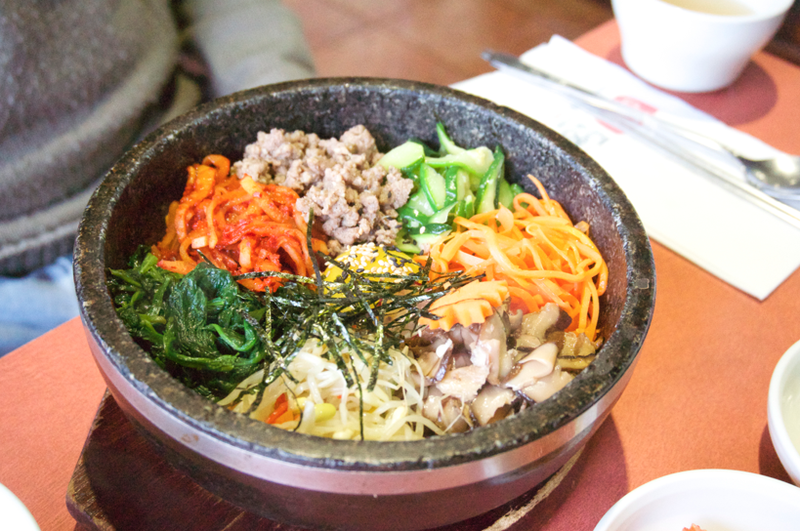 Their menu is pretty extensive, they even have 5 variations of bimbimpap! Oh btw, I got a new camera for bloggingg hehe. :D Can you tell? I'm going on vacation soon, and bringing my huge chunky DSLR would just not be practical haha, so I got a mirrorless camera instead! It's the Sony A5000, and so far, I'm really liking the results! Gee, I can't believe my dad got the bimbimpap...LOL! After we had ordered the waitress came over to ask if we wanted the stone bowl version or the plate version, my dad opted for the stone! He thought it was okay, and he liked how there was no shortage of ingredients. 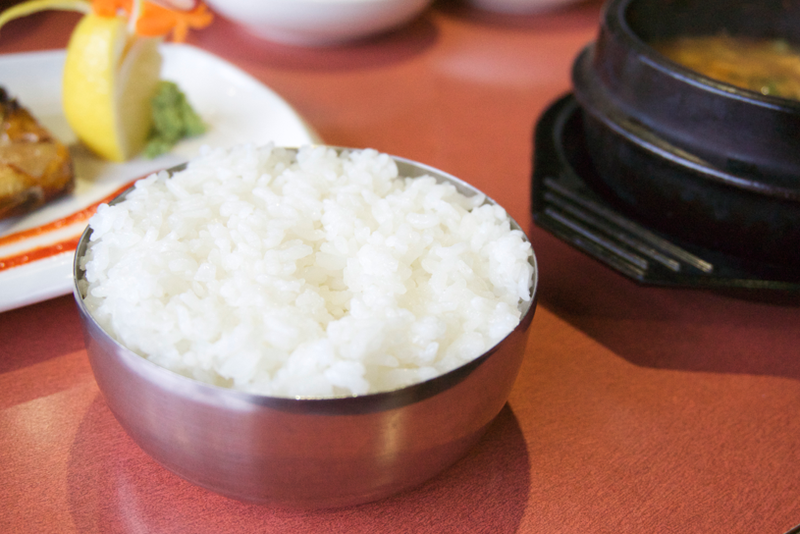 The rice got really crusty on the bottom which is my fav part of bimbimpap! This was really good! 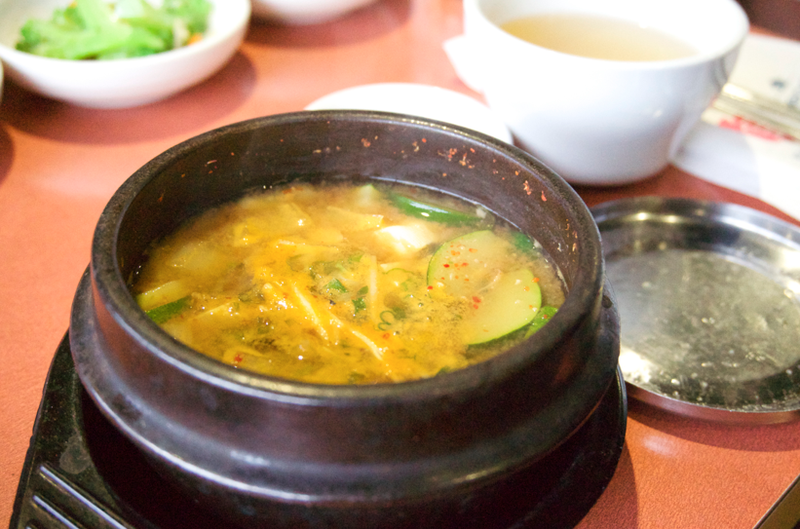 The soybean paste flavour was really potent, and flavourful without being overly salty. There was a ton of tofu, mini shrimp and cucumbers in there too! Definitely super healthy haha! 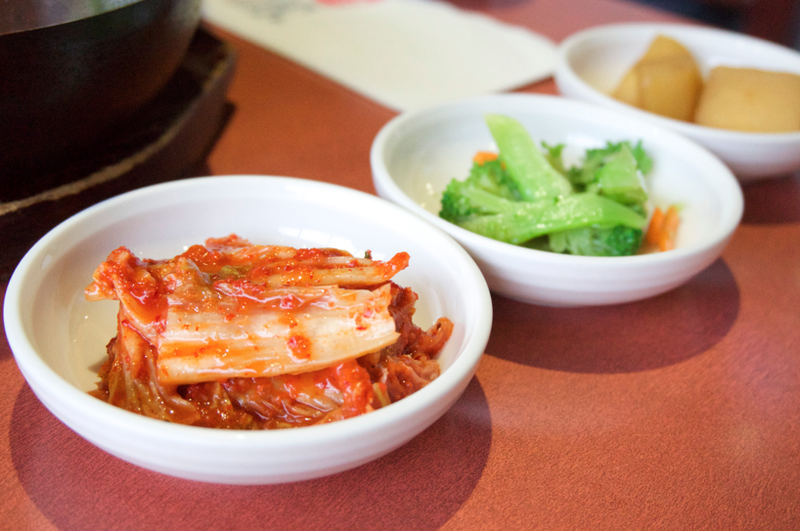 I really liked the kimchi and the broccoli! To my surprise they actually seasoned the broccoli, other places usually keep it plain! The sweet potatoes were standard, I prefer the crusty ones! 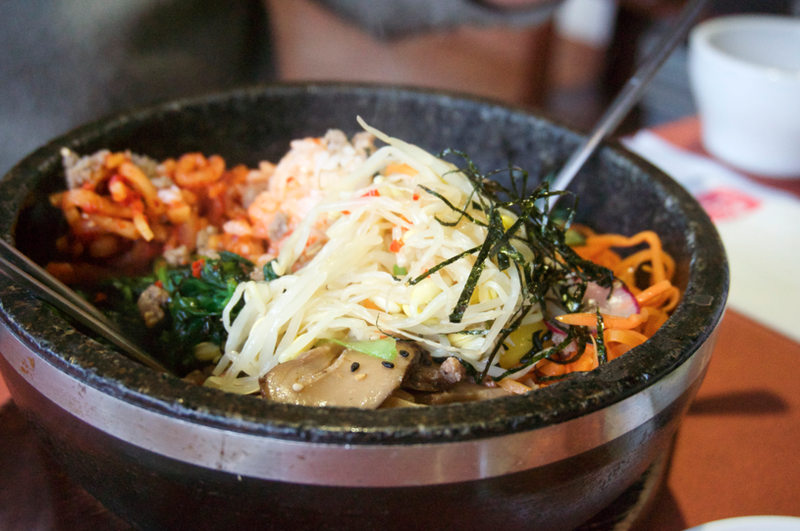 Something about Korean rice bowls <3 they're just so cute!